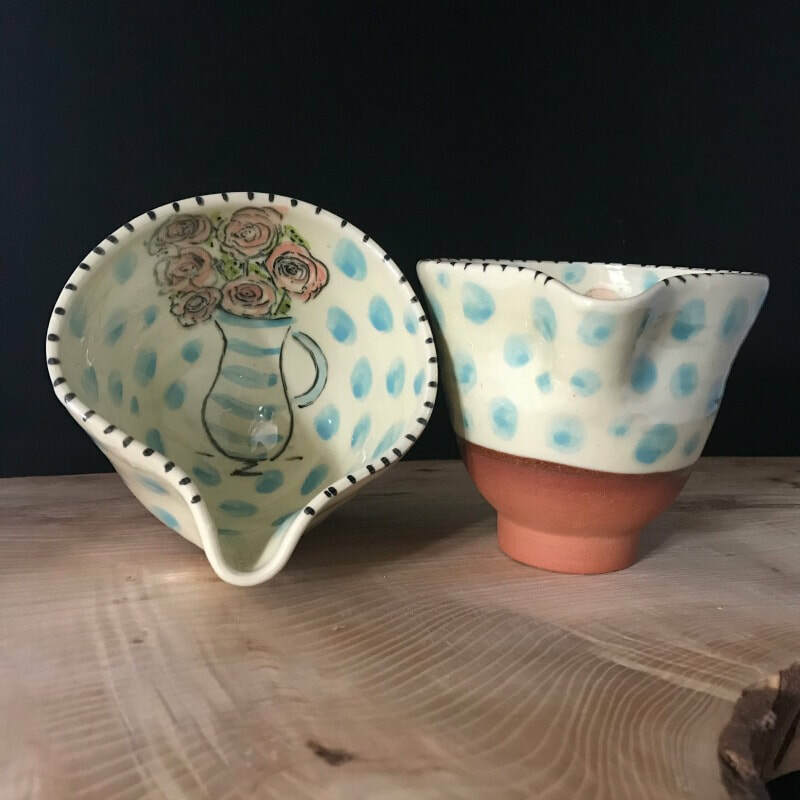 Alison fell in love with clay twice over at pottery classes - one a hand building class and then a throwing pottery group but "her way" began when she got her own studio and really learnt to play. 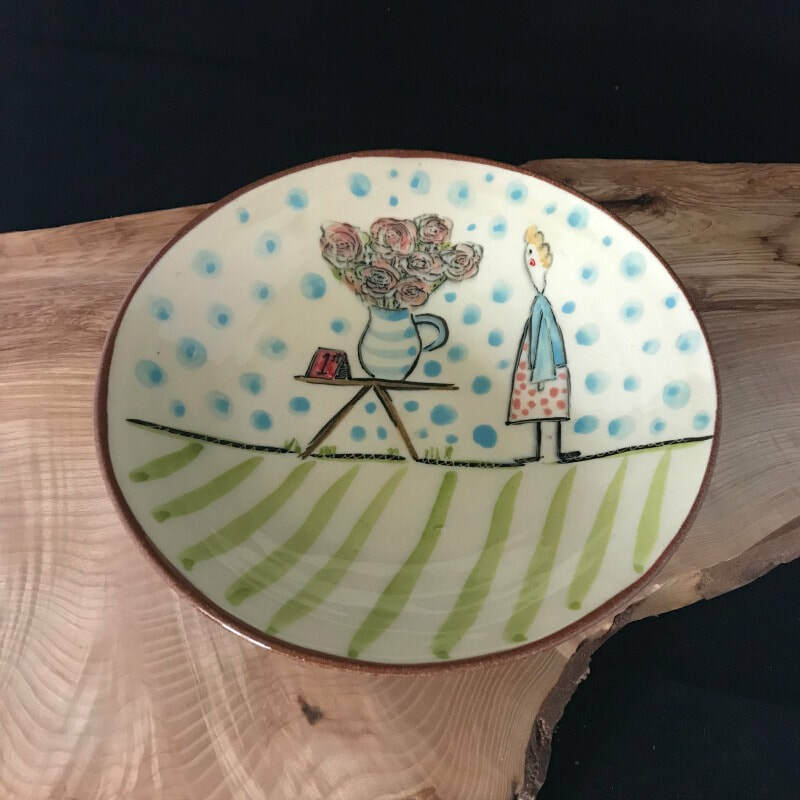 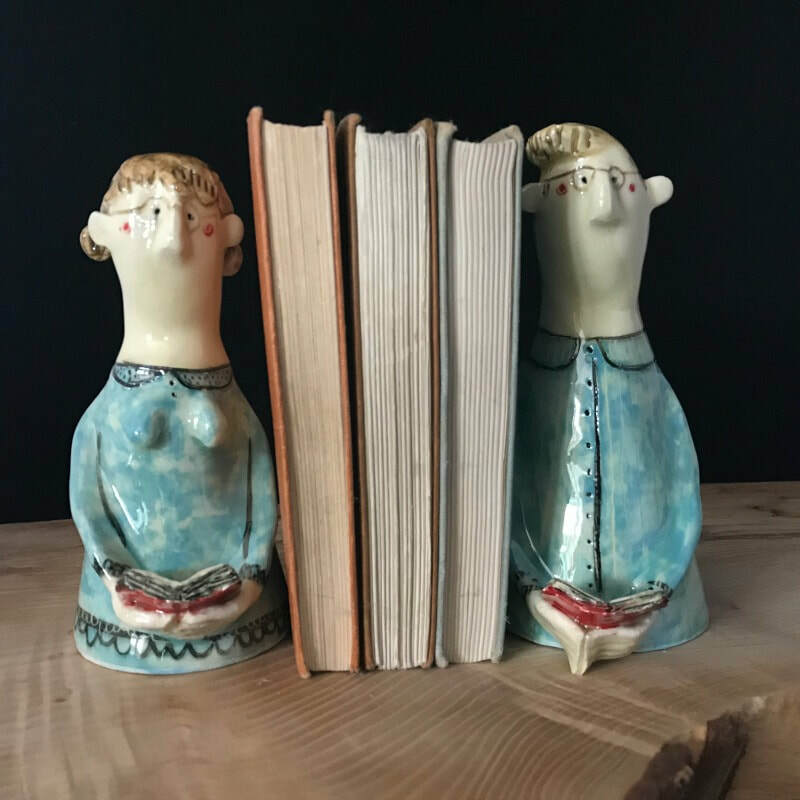 She throws and hand builds a varied array of quirky pottery pieces, some domesticware, some not, but always with an eye on the humorous side of life. 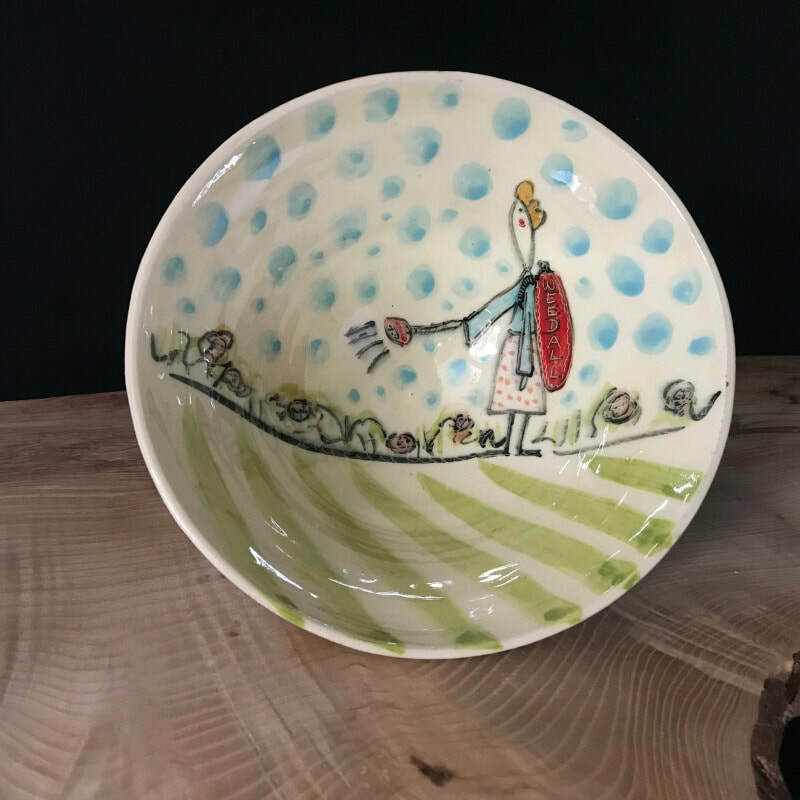 "Doesn't everybody love to observe that bizarre character on the bus?"